The Jefferson Symphony Orchestra performs a Recital at the Golden First United Methodist Church in Golden Colorado in April. 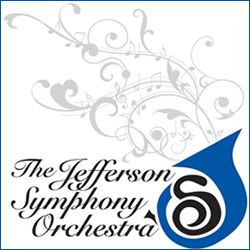 Join the Jefferson Symphony Orchestra at their Season-Closing concert for an Arabian Night. Journey into the night’s centerpiece of Scheherazade, a dazzling, colorful orchestration that will transport you to a time of fantasy and legends. The classic 1962 movie Lawrence of Arabia will have highlights of its soundtrack performed by the symphony as well. Lastly, Bacchanale from the biblical story Samson and Delilah is the frenzied and exciting conclusion to the night. Our guest conductor, Alan Yost, will guide the orchestra through music that is enjoyable for all ages. Tickets are available at www.Jeffsymphony.org or call 303-278-4237. At Colorado Event Guide we help you locate great activities and things to do around the amazing state of COLORADO! From weekend getaways, to huge cultural event celebrations, and every kind of other event in-between, discover something fun on our Colorado Event Calendar. Featuring weekend family type gatherings such as festivals and fairs, to more intimate art and music displays, there are a huge number of ways to celebrate Colorado. Lodging getaway deals await at Colorado Event Guide! With special rate discounts on hotels, bed and breakfast properties, ski loding, summer vacation rentals, romantic holiday retreats, and more, why wait? Book the Colorado adventure of your dreams today! 80401, Chamber Music Colorado, Colorado Chorale Orchestra and Symphony Events, Colorado Events, Colorado Orchestra and Symphony Events, Events 80401, Front Range Colorado Events, Golden Colorado Concert, Golden Colorado Events, Golden Colorado Music, Jefferson County Colorado Events, Jefferson Symphony, Jefferson Symphony Concert, Jefferson Symphony Orchestra Recital, Jefferson Symphony Orchestra Tickets, JSO Concert, Symphony in Golden Colorado, Things to do in Golden, Things to do in Golden Colorado, When are the Jefferson Symphony Orchestra performances?